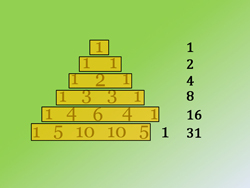 I have yet to bust this out in my classroom, but I envision it being my answer the question “Why do we need proofs?” Without proof or a counterexample, it is awfully easy to assume that a pattern exists when it really doesn’t. That’s why we need proof. Without being able to logically show something is true or false, you can fall into the traps of assumption. 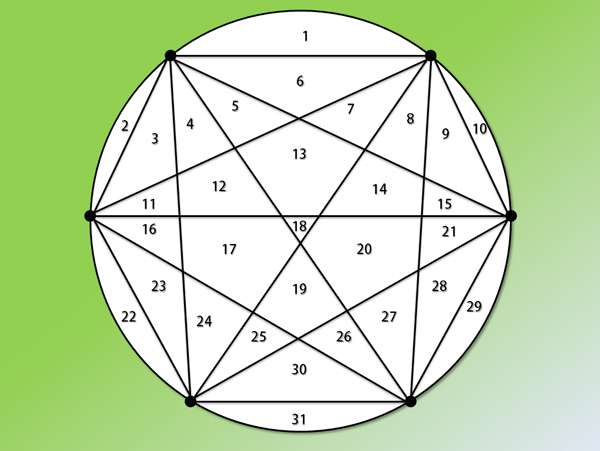 Andy Huynh notes that this sequence should be specified as the maximum number of regions created by putting n points on a circle and connecting them with chords. As I mentioned in my comment, I think this observation again highlights the need to be able to prove something. 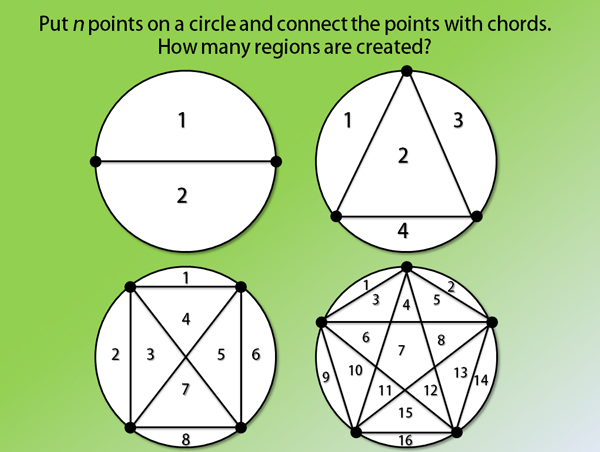 Andy notes that if you evenly space the points when n = 6 (create a regular hexagon), then you will end up with only 30 regions, not 31. 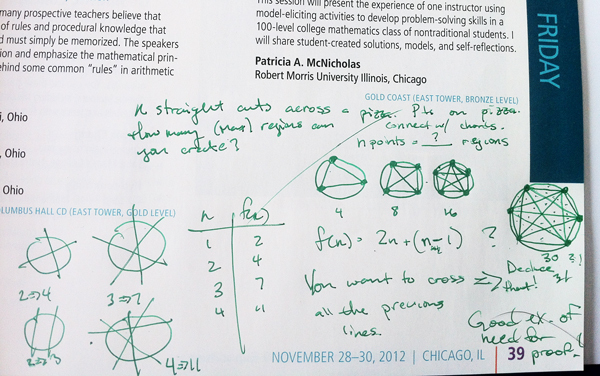 In fact, that’s what I did when I first did this problem which was shared at NCTM by Jen Szydlik.